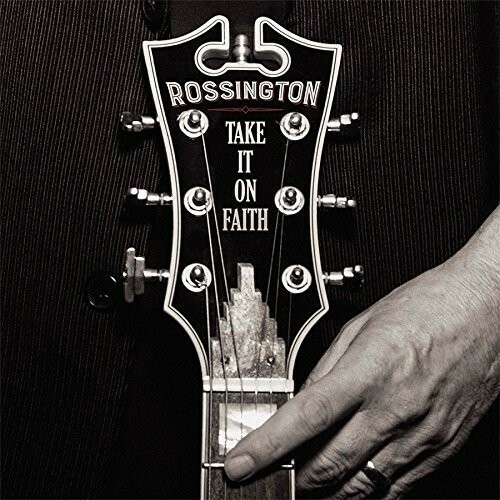 It may have taken forty odd years to arrive but Rossington's first solo album is a serious slice of quality. It's incredible to think that after a recording career spanning well over four decades, as lead guitarist with Lynyrd Skynyrd and his own post Skynyrd project The Rossington Collins Band, that Gary Rossington has never recorded a solo album before. 'Take It On Faith' is about to change all that. Joined by his wife and Skynyrd backing singer, Dale Krantz, Rossington has assembled an impressive array of guests, including ZZ Top's Billy Gibbons and the late Richie Hayward (Little Feat), to help him on his way. Everything is overseen by producer David Z who has worked with a diverse selection of artists such as Buddy Guy, Etta James and Prince. Rossington clearly wanted the best! 'Highway Of Love' smoulders with a deep Bluesy intensity as Krantz's rasping and powerful melodic voice highlights just what a great singer she is. This may be Rossington's solo album but Krantz is an absolute revelation, she can finally show off her delightful voice in front of the spotlight. There's a real Country crossover potential on a couple of cuts, such as the dreamy title track and 'Light A Candle' which features a superb uplifting, choir-backed chorus. However, it's the smouldering Blues where Rossington really shines. His playing throughout is classy and understated, There's no showing off here, no showboating, just a style that fits within the context of the songs, teasing and enhancing along the way. To pick out one track from a uniformly high standard album is tricky, but everything about 'Shame On Me' is just perfect. The whole song just smoulders and burns with passion with Krantz putting in a stunning, career defining performance while Rossington's solo soars and towers above all. The production shows real quality with its clear, punchy and beautifully balanced sound bringing the likes of 'Good Side Of Good' (featuring some classic Billy Gibbons) and the heartfelt balladry of 'Where Did Love Go' to sparkling life. 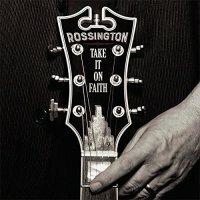 It may have taken forty odd years to arrive but Rossington's first solo album is a serious slice of quality that will not only appeal to longstanding LS fans but to a whole audience that may not be aware of his illustrious past. Let's hope that the next one doesn't take quite as long.